Margaret Theresa Garrard of Illinois passed away on March 9, 2018, in Mission Viejo surrounded by family. She was 97 years old. Margaret, known as Tess, was born in Illinois on Dec. 18, 1920. She attended school at St. Bartholomew School there. Tess married Phillip H. Garrard in September 1939. She was the mother of six children and volunteered at her church and in the PTA for many years. Tess’ greatest love was spending time with her family, whether visiting her children or seeing or taking care of her grandchildren. She was an avid reader, and she also enjoyed playing the organ, going to movies, and travelling. She enjoyed drawing floor plans of houses and designed one of the homes she lived in. She especially loved children and her dogs, Matilda, Tara, and Tara II. She lived in Colorado for several years to be near her younger grandchildren, but she spent most of her adult life in California—mostly in Laguna Beach, and in Nipomo, Costa Mesa, and Mission Viejo. Tess was generous and compassionate with everyone. A loyal friend and ally, she had a ready sense of humor and fun. Her family will miss her kind presence tremendously. Tess Garrard was preceded in death by her husband, Phillip Garrard, and their son, Dan Garrard, and all of her siblings and cousins. 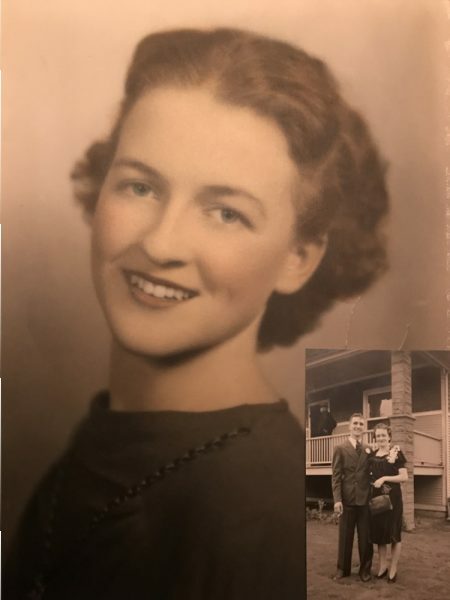 Tess is survived by her son, Gary Garrard and his wife Rachel of Costa Mesa; daughters Nancy T. Johnson and her husband, Bob of Laguna Beach, Peggy Grimes and her husband, Mark of Aurora, Colo., Amy Garrard of Lago Vista, Tex., and Sally Garrard of Boulder, Colo. She is also survived by 11 grandchildren and 10 great-grandchildren. The 11th great-grandchild is expected to be born in May 2018. Funeral services were held on March 16, 2018 at Pacific View Cemetery. Her husband Phillip Garrard was buried with Tess.